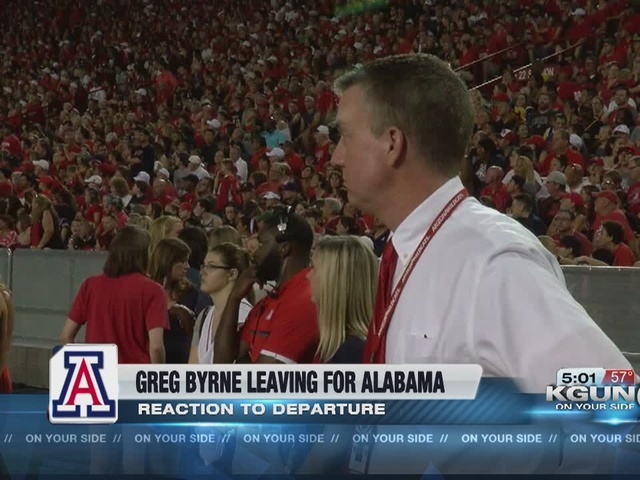 Greg Byrne, who served as the Vice President for Athletics at the University of Arizona, will become the new Director of Athletics at the University of Alabama. Byrne's hire will be effective March 1, pending approval of the The University of Alabama System Board of Trustees. "Regina and I are honored to be joining the University of Alabama," said Byrne in a news release from the University of Alabama. "I have incredible respect and admiration for both Coach Battle and Coach Moore, as well as all of the talented coaches and staff in place. We look forward to returning to the SEC and being a part of Alabama's outstanding tradition." 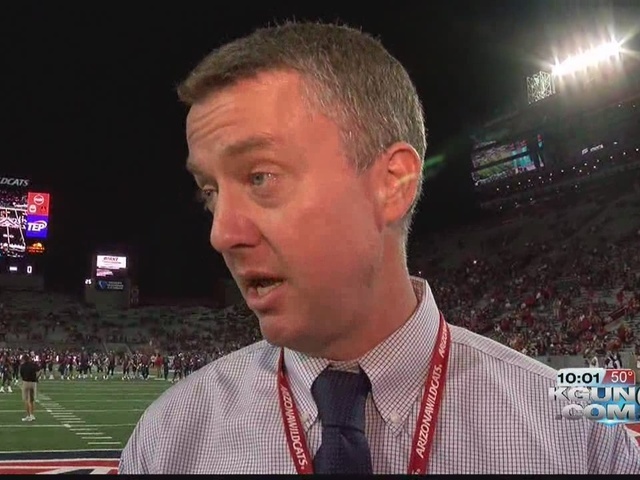 Byrne, 45, has worked as Arizona's VP for athletics since May 2010. During his time at Arizona, Byrne hired Rich Rodriguez after the 2011 season as UA's football coach. Byrne also hired baseball coach Jay Johnson who led the Wildcats to the College World Series national championship game this past June. Alabama says Byrne will be formally introduced to the media later this week. University of Arizona President Ann Weaver Hart has named Senior Associate Director Erika Hanson Barnes as interim director and vice president of intercollegiate athletics. Hart confirmed that a national search for Byrne's replacement is underway. "Greg Byrne has been a strong leader and positive force for Arizona Athletics bringing energy and vision to his role. Greg lifted University of Arizona Athletics to a higher level and I wish him well at the University of Alabama. Our Arizona Athletics teams continue to be positioned for successful competition and academic achievement, and I am excited and confident about the future of Arizona Athletics," Hart said in a news release from the University of Arizona. "The last nearly seven years has been a wonderful experience for me and my entire family. We truly appreciate President Hart, our student-athletes, coaches, staff and friends. Because of the unbelievable support of all those who make up the Arizona Family, Tucson and the University of Arizona will always hold a special place in our hearts," Byrne said in the release. Students were shocked with the news. "Good for him, he's going to the best athletic department in the world right so he gets to work with Nick Saban, he gets to work with really good coaches, really good staff," said UA student Robby Medel. "I mean he is leaving a good thing, but he is going to a really good thing as well so I am just happy for him." "Maybe this will be a good thing for our football team, and like for basketball who knows we have a really good team as of now besides the injuries that we have had," said UA student Maddie Lyle. "I guess we are going to have to wait and see."